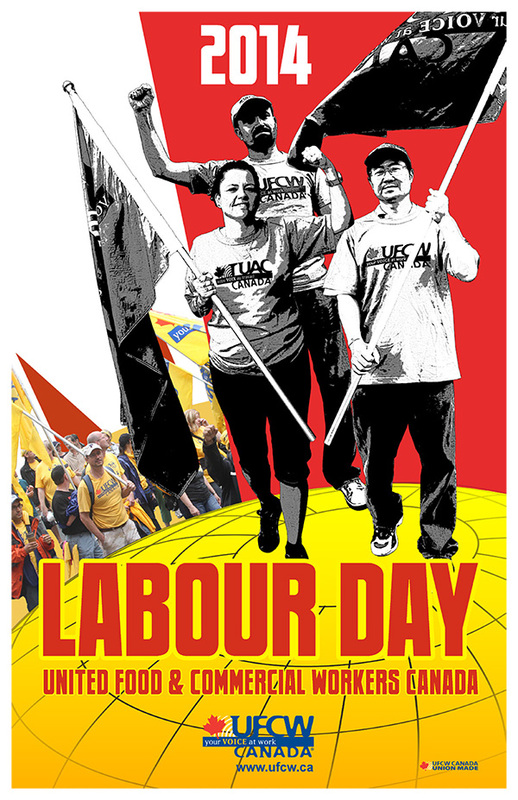 Toronto – August 28, 2014 – As trade unionists, Labour Day is one of our proudest, long-standing traditions. Since the late 1800s, workers have come together in the final days of summer to celebrate our collective achievements, and to demonstrate our strength and solidarity by gathering at parades, picnics, and other fun-filled activities. For many of us, Labour Day is also one of our favourite holidays – a community day that offers us a chance to enjoy time with family and friends before welcoming the fall season and a new school year. Taking time to reflect on the past achievements of workers allows us to understand why it is so important to protect those accomplishments, especially in the face of unprecedented attacks on unions and working people from both employers and anti-worker politicians. Things like the minimum wage, statutory holidays, public health insurance, pensions, and the weekend were not simply given to workers and their families, but rather were fought for through generations of political action. And that is why we must remain vigilant in protecting the gains, laws, and benefits that we consider a way of life, while fighting to advance equality in other areas. Indeed, Labour Day has long celebrated the extraordinary things that ordinary people can accomplish when we combine our efforts and work together to achieve fairness. It is a day for hope and optimism, and an appropriate time for us to recommit to building a fairer Canada with laws, policies, and programs that benefit everyone. That means fighting for a strong public health care system funded by progressive taxes, and managed through genuine and respectful cooperation between the federal and provincial governments. It means demanding better labour laws that foster real democracy in the workplace and strengthen workers' rights. And it also means pushing for a national child care system that enables more parents to enter and remain in the workforce. Canadians are some of the hardest-working people in the world, and Labour Day is a holiday that working families have earned. On behalf of UFCW Canada – the country's leading and most progressive union – I wish you and your family a very happy and well-deserved Labour Day.